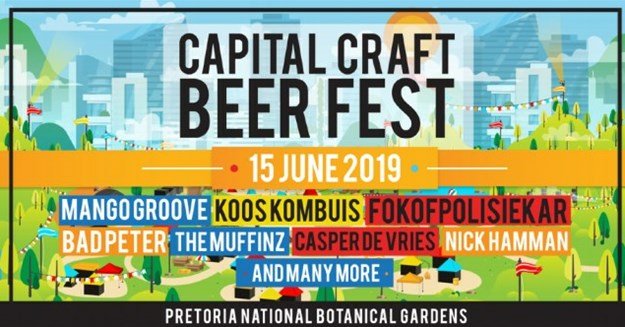 The seventh annual Capital Craft Beer Festival will be held at the National Botanical Gardens in Pretoria on 15 June 2019. This year's festival is set to offer more than 40 beer brewers, 200 beers on tap, 20 food stalls, educational stalls and range of entertainment across three stages. 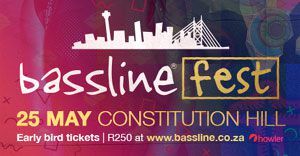 The entertainment lineup features some of South Africa’s best musicians and entertainers including Mango Groove , Fokofpolisiekar , The Muffinz Music , Koos Kombuis , Bad Peter , Casper de Vries , Nick Hamman , Schalk Bezuidenhout , Joey Rasdien , The BLACK CAT BONES , Lihle Msimang , Chris Forrest , Alfred Adriaan , Deon Bakkes and the Stolen Horses , Hannes Brümmer, Robby Collins , Nqoba "King Nqoba" Ngcobo , Little Ringo , Thabiso Mhlongo , The Honeymooners Band , Claudine Ulman , Richleua Beaunoir and Zebra. There’s no need to worry about missing the weekend’s rugby action as the matches will be screen at the festival: at 3.05pm you may catch the Stormer vs Sharks followed by the Bulls vs Lions match at 5.15pm. Clamber Club is an extensive and exciting sensory motor programme that gets children moving, promoting fitness, health and learning. The Clamber Club obstacle course and colourful equipment will be set up at the Capital Craft Beer Festival Kiddies Entertainment area this year, offering a safe, fun and active place for your two to 12-year-old kids to enjoy the outing. The obstacle course is unique and our team of entertainers and mascot, Jog the Frog, are trained to keep your children active and happy as they tumble, roll, jump, climb and jog. Tickets are available at Plankton. No kids between 13 and 17 years of age are allowed at the festival.